Judging a game by its name alone, it’s an awful habit but we all do it. Let us just remember the twitter joy and mockery after we found out Medal of Honor had the subtitle of “Warfighter”. Hearing the name Girl Fight fills the average, well-adjusted, members of society with dread and fear. You hear the title and you think ‘Please God, don’t let this be like those creepy Japanese games where you’re a guy on a train touching people’. Well you’ll be pleased to know that Girl Fight isn’t that bad, it’s not a step forward for gender equality, but it’s not as counter productive as Germaine Greer. Girl Fight is a game about, well if you need it explaining to you then you probably need to play this game. You pick your female fighter from a line up of teenage fantasies and then make them punch and kick the over-applied make up off each other. It’s fair to say that this game takes some of the ‘dodgier’ aspects of the gaming worlds attitudes to women and moulds them into a game. After hearing all that you would be within your right to assume that this is a bad game, and amazingly you’d be wrong. Buried deep within the game’s ‘odd’ choice of view towards female characters is a fighting game that, whilst shallow, is actually fun to play. The range of femme fatale jumps from stereotypical cleavage laden soldiers, cleavage laden ninjas, cleavage laden cyborgs and cleavage laden mechanics. Basically the roster is filled with characters chosen and designed by a 14-year-old boy that’s about to sit on his left arm for 5 minutes. I’d consider myself slightly better than average on fighting games, I wont win all matches, but on a game like Street Fighter I can hold my own. That being said certain games over complicate what is essentially a collection of punches and kicks. King of Fighters, Mortal Kombat and BlazBlue have what may at first seem to be simple controls but after that they can be nightmares to pull off anything other than a 1-2 combo. 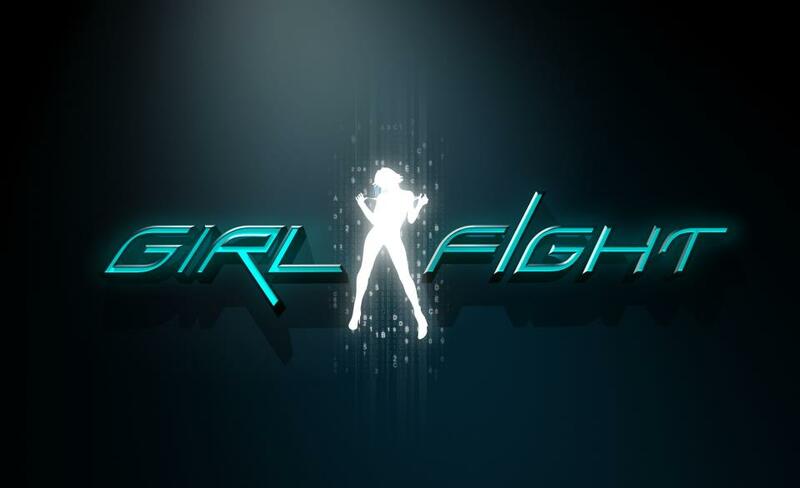 Girl Fight has a control system that is made both for people new to the genre and those who are just looking for a pick up and play. With a punch, kick, grab and block being all the buttons you need at first you can see why simplicity is this games strong point. You can grab any character and piece together a nice combo in seconds. Pressing a different direction with each attack allows for a variation. It’s a control scheme that reminds me of early PlayStation 1 and 2 wrestling games, where the ease of motion and attack were what made the games fun. When you have sufficiently pounded on your gender you gain Psi powers, these powers are actually quite interesting and well used. The game starts you off with a couple that amount to; the power to turn to steel and have higher defence, the power to steal health, or the power to steal Psi energy from your opponent. These first ones are pointless but when you win money by doing cool stuff in fights and winning you can purchase a flame body power and a fist bump the ground power, each doing great damage and adding an element of tactics to the game. Unfortunately you can also unlock ‘Character Art’, I put that in quotes because it’s as close to art as Razzle is to a photo-documentary on the living rooms of the working class. If you like your women draped against a wall or on a laptop in a bikini then get playing to earn money and unlock these snippets of joy. Skull Girls has an all female cast, Dead or Alive has ‘Jiggle Physics’, Tekken has horrendously cleavagey women; all of these elements of the games we may not like but we accept because it’s just one element of the game. Girl Fight puts all of these concepts into one release that didn’t need it. There is a good game here that is simple to play and fun to pick up, it’s a shame that it’s covered in something that is almost embarrassing to have anyone see you play. Graphically the game is a mixed bag, some characters and locations look awesome, others not so much. The up close face shots of characters like Daisy look worryingly close to some dodgy plastic surgery victims that appear on innocent Google Image searches. The Sanctuary level, as shown above, is actually a great location and adds a touch of class to this game. The couple of neon arenas however make the game feel like a budget PS2 title. The audio is inconsistent, on occasion the music is just the right side of cool dubstep for it to aid in the aggression of the game and work with you in a fight. On the flip side there is zero voice acting apart from one of those ‘type and speak’ programs used for certain menus and dialogue. There is no genuine voice acting in the game, for something that is so close to the bone in terms of content it would have been nice to know that there were females used to voice the characters just to give them some sort of legitimacy. There is the usual options of single player or versus, and if you are going to get this I highly recommend unlocking all the powers and sitting down with a buddy playing against each other. For the first round or two you’ll be a bit offended and confused, but then something weird happens, you realise you’re having fun. This game is a casual fighter, but the developers clearly have some great ideas and the game itself is built well, it’s just a shame it’s got this greasy feel to it.